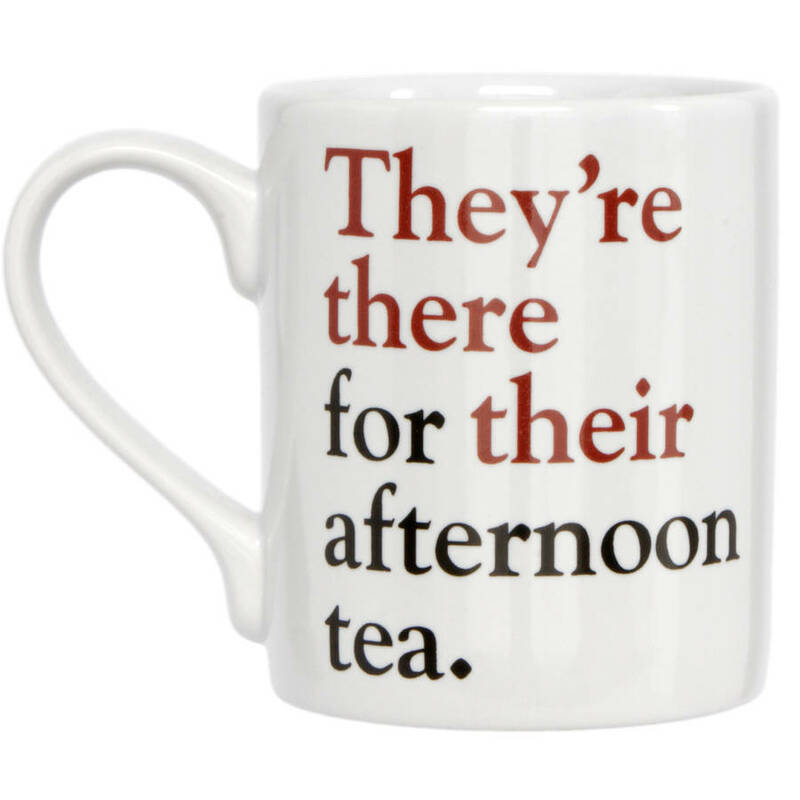 These mugs have been kicking around near the top of my 'favourite mugs' list for quite some time (and yes I DO have a favourite mugs list, so shush). I think I first discovered them about two years ago, but for some reason I've never shown them to you as part of the Monday Morning Mugs series. I suppose this is partly because I don't want to go FULL NERD on you. And I also didn't want to be THAT GIRL that got all smug because I done good grammar innit. 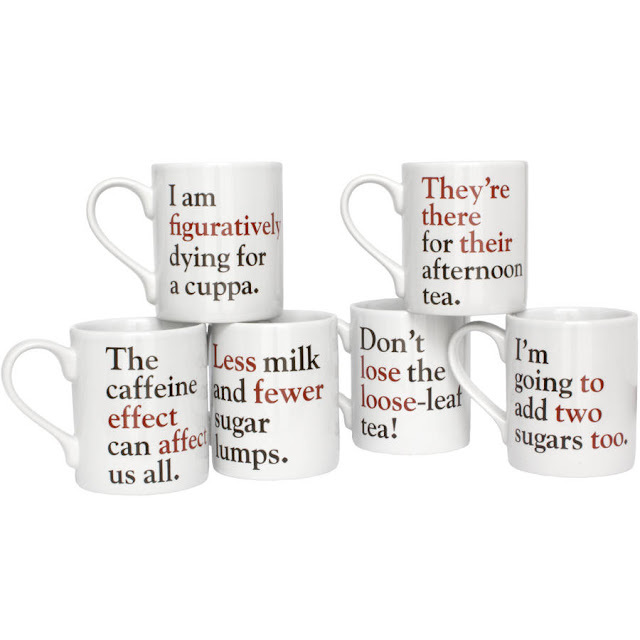 But rest assured, these mugs are not about being mean and snarky, and are more about relishing my inner grammar geek. This highlights the sin I am ALWAYS guilty of - the incorrect use of 'literally'. 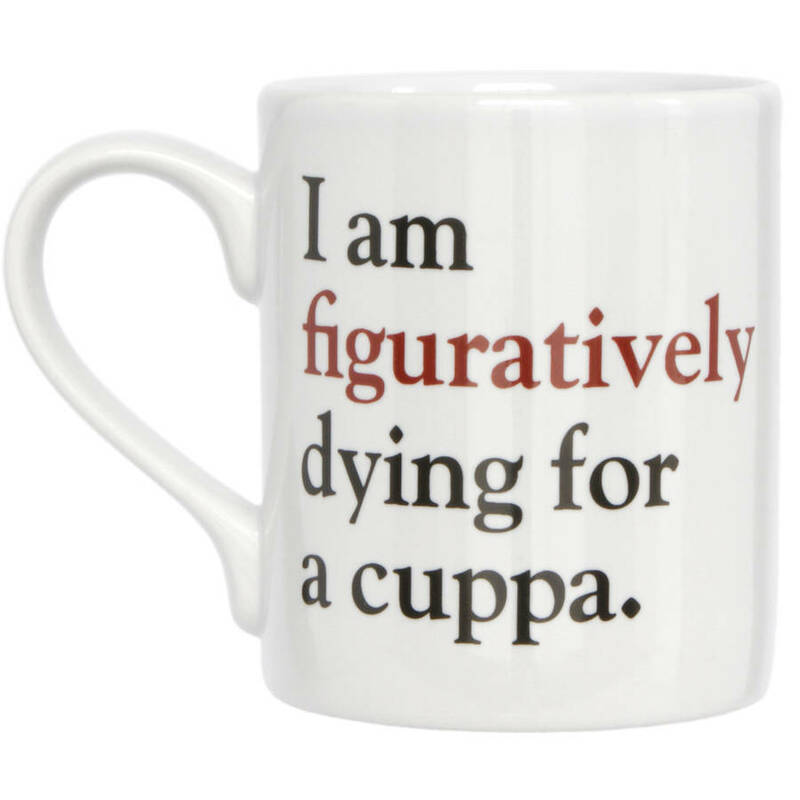 I am going to be saying "I am figuratively dying for a cuppa" a lot more frequently now. 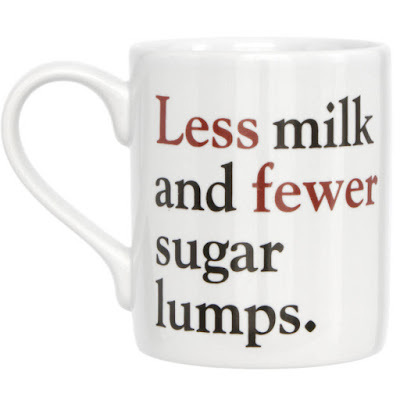 The "less or fewer" mug is the one I want because it will ACTUALLY remind me of the kind of grammar I'm rubbish at. 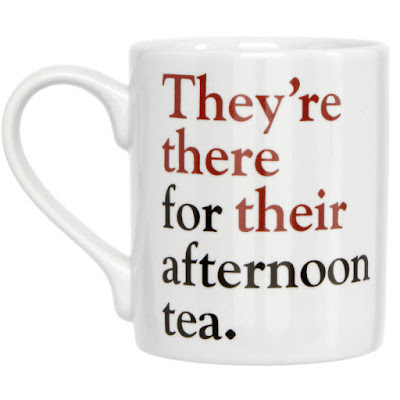 The incorrect use of 'their', 'there' and 'they're' is one of my biggest pet peeves, and is also the grammar-bashing I see most frequently in the comments section of Facebook. If I had a pound for every time I've resisted correcting someone... well, I'd have more than enough to buy all of these mugs. And if any of you write in to tell me about a grammar mistake I've made in this blog post then I WILL HAVE SOME CHOICE WORDS FOR YOU.